Playing guitars and singing can be fun…and fruitful. We met the owner of Rockwell’s Art And Framing through our group of friends that sings at local healthcare facilities. “Mr. 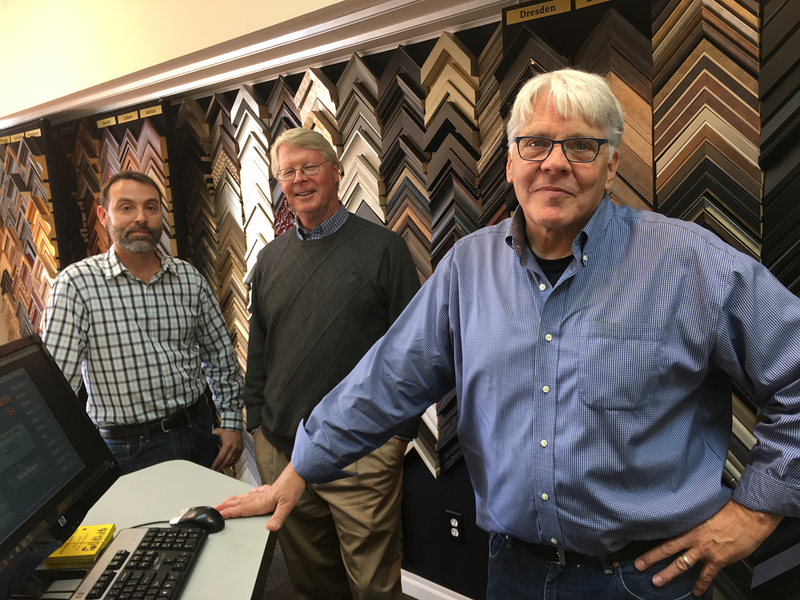 Rockwell” (Rockwell is his middle name, and yes, he is a family member of the famed Norman Rockwell) explained that his multi-location retail custom framing business needed retooling in the form of more creative marketing. So that’s what we did. We analyzed every aspect of customer interaction and expectations, and continue to strive to exceed them. Aside from the legacy his name carries, we needed to reach more people, more often, and with more gusto. We dove in and developed a marketing plan that included new positioning, new material and above all new ideas…online and off. New website, new direct-mail, new email marketing initiative, and an “Art Of Framing” video, for starters. In fact, we scoured the Internet for similar videos, found very few, none of which were professionally produced (except for one produced for the home construction framing business). ‘“The response all-around has been great so far,” said Steve Desloge, founder — and his GM Miles Wallace.